Post subject: What will Fritz do? Some of you will be happy, I hope he stays and finishes the job. Life blood is recruiting, improvement in caliber of student athletes coming to TU is evident. If KU calls, not sure we can compete with the allure of his home state. After what we've seen this season, it ain't happnin'. Either from KU's end or from Fritz'. 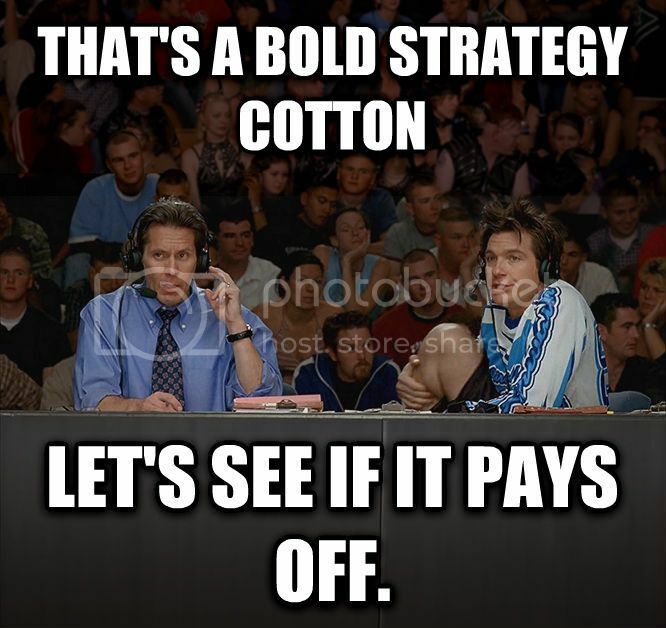 KU is a lot further from competing in the B12 than we are in the AAC. And a much bigger hill to climb. I think the author of that article is a little delusion if he thinks more than a few on that list would even entertain a phone call from Kansas. No the author is an idiot. No current head coach is there. Miles and Doreen are laughable. Ken turned down BYU. Monken going nowhere. WF going nowhere. ND ST coach waiting for a better program. And the other guys have the potential to not commit career suicide in Lawrence and wait for a better program. They're talking about the author of the article, not the author of the post. It's not all about you! Geez. I was talking about the author of the article. Everyone take a deep breath. A number of those guys would entertain phone calls, if only to convince their current schools to give them a raise. Brown at Troy, Wells at USU, and Littrell at NT will all be in line for better jobs, though, so I'd be shocked if any of them end up there. Kansas needs to be creative and think young. They have nothing to lose so going for a super young OC or even a lower level coach would make sense. Great, makes me feel a lot better. I bleed green like the rest of you, even if I am a little dense! I am off to Topeka KS today. Will see what they think. Touche' Windy!! That was funny. Ah, the world famous allure of Kansas. Who could possibly compete with that? I really doubt they'd be interested unless we run the table and even then I'd be surprised. If they are interested, I'd think that he'd go given the right offer. A coach will have enormous leverage over Kansas when it comes time to negotiate a contract. They paid Charlie Weis $12.5 over 5 years when he was still getting tons of money from Notre Dame. They went super cheap with David Beaty and look where that got them. If you're a coach who is a little later in his career and hasn't made a ton of money (i.e. Fritz) and you can negotiate a 6 year $18-20 million deal with no buyout, it might just be enough for him to return home to try to put out a giant dumpster fire. Any job with that kind of guaranteed payout is a good job. Remember, in his talk with his players at GSU when he took the Tulane job, Fritz cited the fact that he hadn't made much money in his career at that time and felt he had to take an opportunity that paid him much more. Now that he's making good money, will that still factor into his situation? Would Kansas be willing to pay Big XII market rate for a head coach? 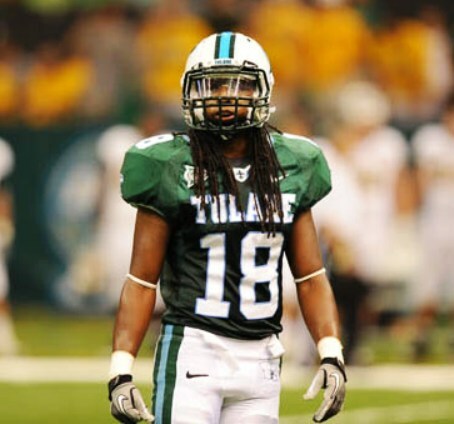 Does Fritz want to end his career at Tulane? Does he believe that he'll have a better opportunity down the road given his age? Those are the questions that need to be answered. I agree that Kansas would be a bad move for several people on that list. I think Chris Klieman at NDSU could actually be attainable for Kansas. Their last coach left for $800k a year at Wyoming after winning 3 straight national titles. Klieman is 51 and makes $300k a year. Would Klieman leave for $2 million a year? I think so. He's got limited appeal for other schools because: 1) he's not the guy who got things started at NDSU; 2) he's never coached outside of Iowa, Kansas, Missouri, Illinois; 3) he doesn't run a gimmick offense that is new and inventive and 4) he's coached a grand total of 1 year at an FBS program and that was....Kansas in 1997. I think he'd have to take a Mountain West type job to prove himself much like Craig Bohl did...and Bohl had been the DC at Nebraska, Duke and Rice. Nobody is knocking down Les Miles' door. He's 65 and his clock is ticking fast. He didn't get a sniff on any major jobs last year and he was begging for interviews. The interviews he's had since LSU have been reportedly bad. He's infamous for being bullheaded and unimaginative offensively which will get him beat by 35 a game in the Big XII. Yet, Jeff Long tried to hire him at Arkansas when he was the AD there. He's attainable for Kansas. Neal Brown, Matt Wells, Jason Candle, and Seth Littrell should stay way away from this job. Ken Niumatololo is never taking this job. Jeff Monken is a possibility if he wants to leave Army, but he's doing really well there and he's getting paid pretty well with tons of job security. This would be a money grab for him. Dave Doeren was attainable 5 years ago...now, there's no way he leaves NC State for Kansas, even if he is from Shawnee. To me, this comes down to Chris Klieman, Les Miles, Willie Fritz and someone not on that list to be determined. If I were Fritz, I'd demand the world ahead of time before I'd even interview and I don't think Kansas is going to be willing to pay a coach $3 million plus a year. Just my 2 cents...and they'll probably hire someone completely out of the blue. Spent a year+ in Kansas. My favorite pastime, besides beer and their version of BBQ, was driving through the corn fields trying to pick up WWL's signal. Me and TU23 seem to be in the minority but I agree with him that Fritz will get serious consideration from Kansas. Legit question for the mods: are we allowed to talk about who we want for coach if a coach leaves of their own accord? I know we aren't supposed to discuss replacements in regards to a firing, but the discussion here is about the possibility of WF being poached by Kansas. In that (at this point very hypothetical) scenario is there any reason we couldn't discuss who we might like to see in the running as a replacement? Still not buying it. KU would have to overlook Fritz's Tulane record, inferring that no one can win at Tulane, to make him an offer that we would not match. For a HC with a losing record. It isn't as if we have looked good, either, losing to WF, UAB and not even competing against Ohio St. The most likely scenario some have already alluded to: someone not on this "journalist's" list, probably a coordinator, but not necessarily an existing HC. I would offer that the "spirit of the law" is that we should not talk about getting rid of a coach. Talking about replacements for a current coach is tantamount to seeking his/her departure. If a coach were to desert and leave us in the lurch, then replacement possibilities certainly should be on the table regardless at what point in the season the vacancy occurs. ...I am off to Topeka KS today. Will see what they think. Going for a job interview, Coach? I read it... the article is weapons grade horse shiat and therefore any kind of "speculation" here is harmless... would be like if someone started a "what I'm going to do with my powerball winnings" thread. The writer basically took a paragraph from an article I linked back in August and expanded it with additional "not in a million fking years" possibilities for Kansas' next head FB coach.